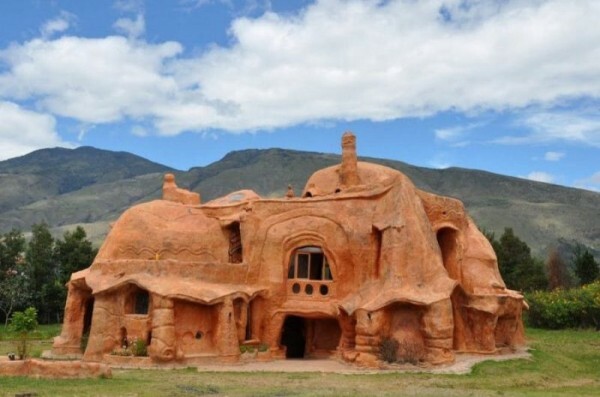 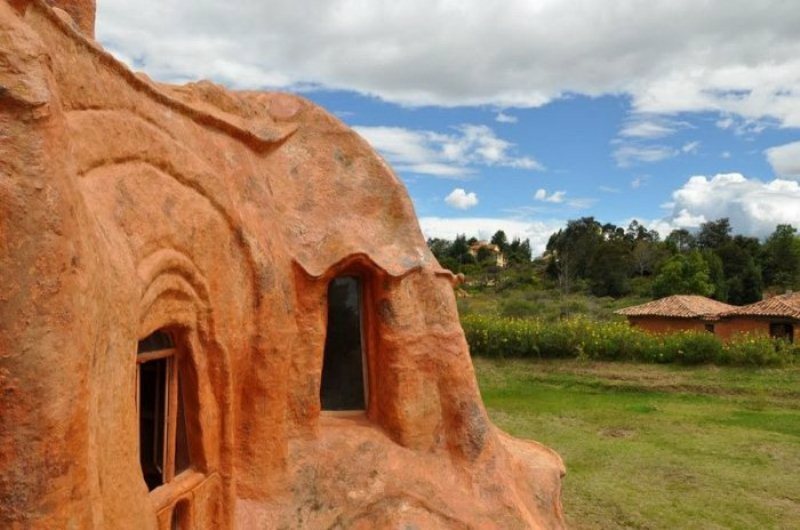 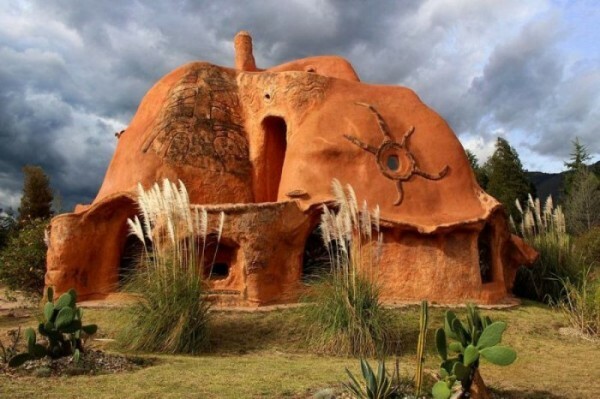 This unusual ceramic Casa Terracota House was built by architect Octavio Mendoza of Colombia, in the Villa de Leyva town, which is somewhere in the 150 km from the capital Bogota. 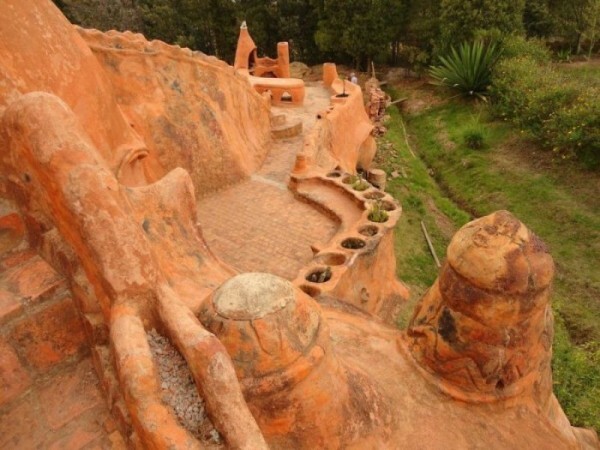 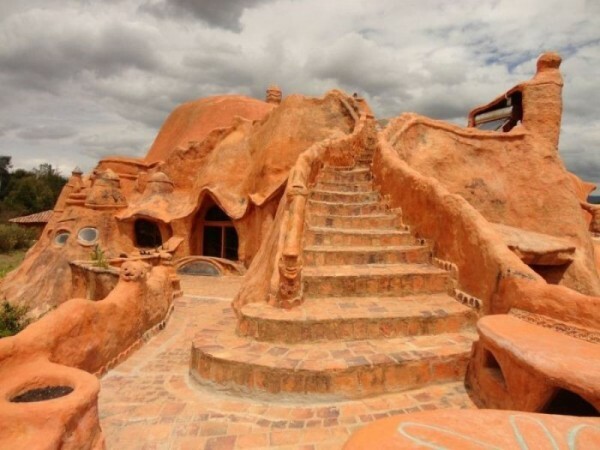 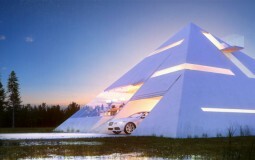 To realize this extraordinary architectural masterpiece, Octavio has used only clay that dries in the sun. 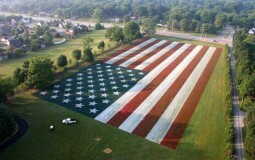 Characteristically, the architect did not include metal, concrete or any other material is agglutinant. 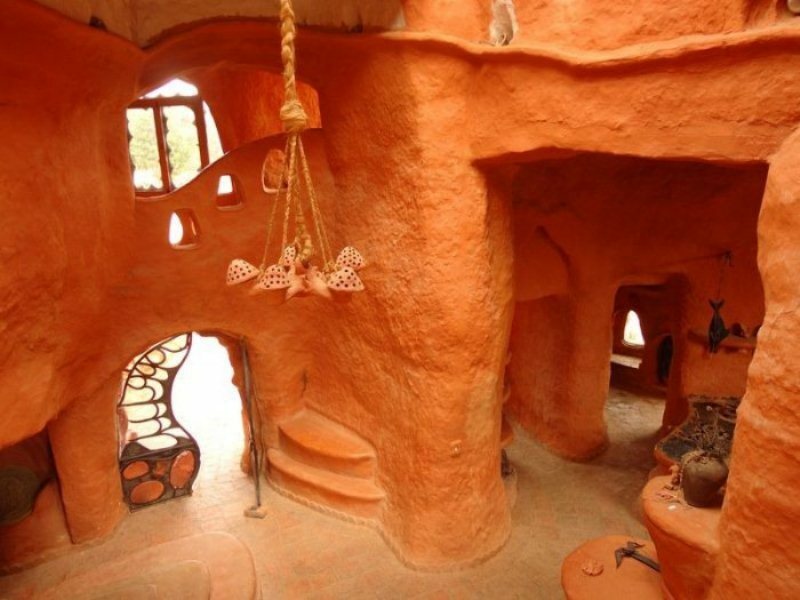 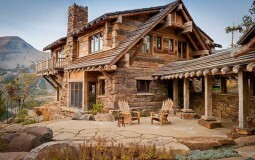 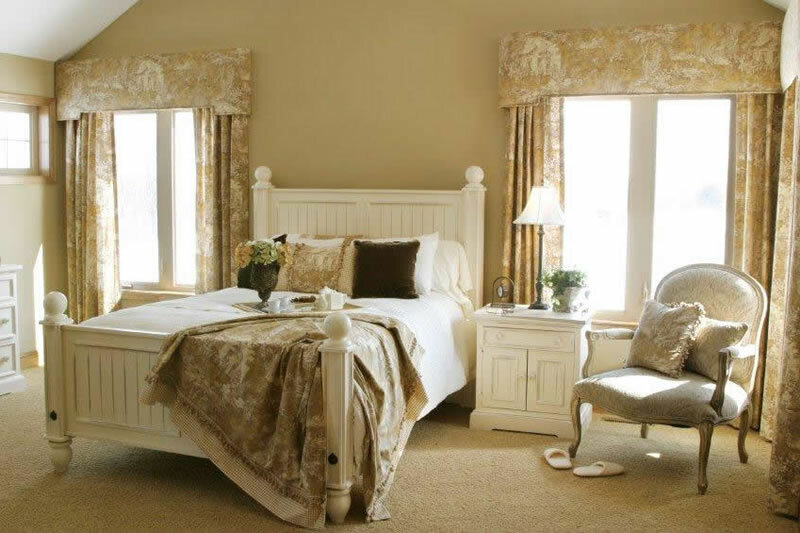 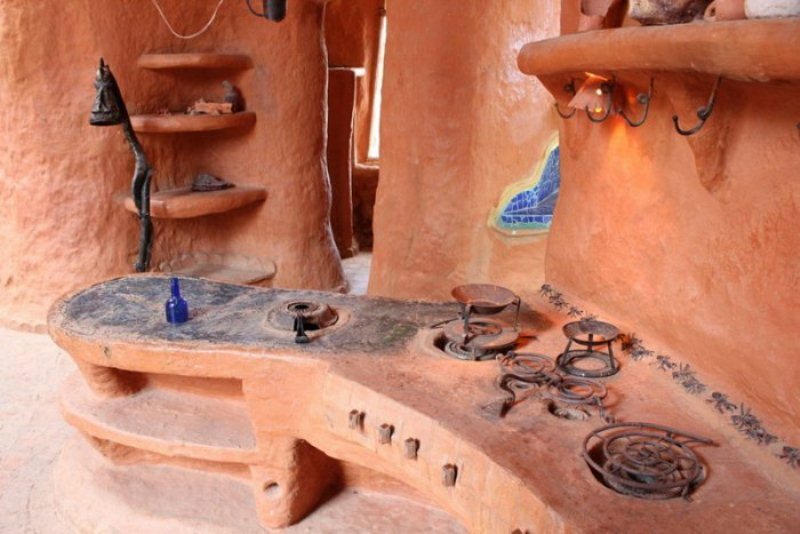 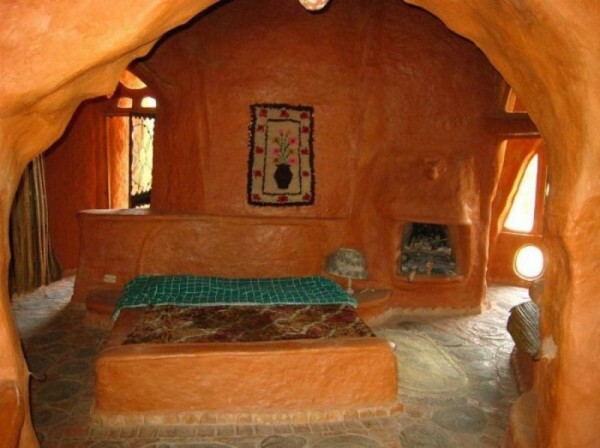 The two-storey house, as you can see furniture and kitchen accessories made entirely of baked clay. 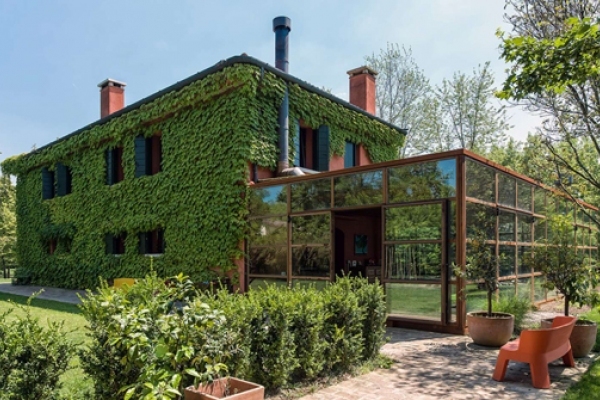 This ceramic house you can always take a hot bath, thanks to solar panels on the roof.